A great grocer for your General Store! He has such a wonderful face and his clothes are great. 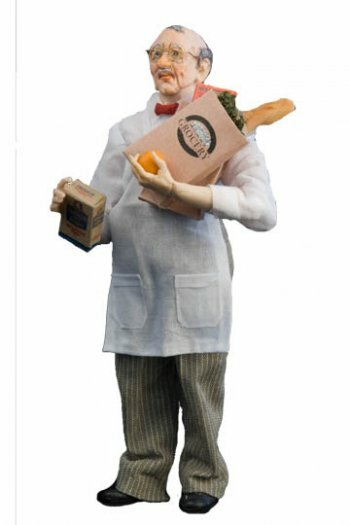 He is hand sculpted by the artist and is a wonderful 1/12 Scale Character with a lot of personality. He is cast by the artist in durable high quality resin and is highly detailed as are his clothes He is approximately 5 5/8" tall. By The Colvin Studio.